#WhatsHappening this Weekend: Fremont County Fair; Wrangler Classic; Markets and more! 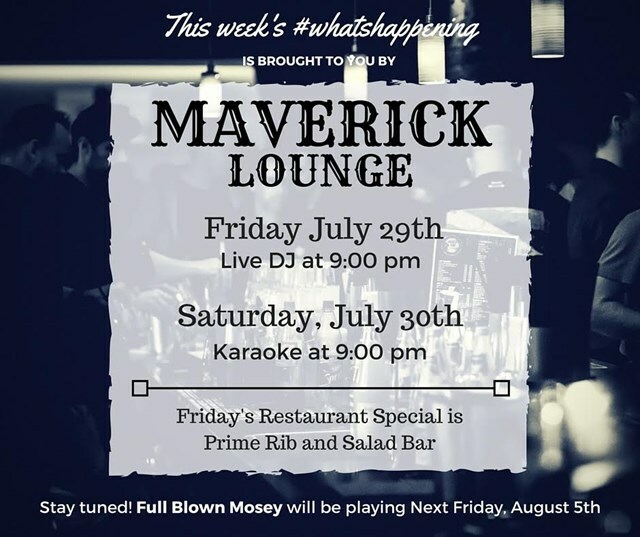 This week #whatshappening is brought to you by the Maverick Lounge in Lander at 808 Main Street. Here's a list of everything on our calendar for this up-coming week. We're looking forward to it. Saturday, July 30 Cat Shows, 9:30am, Twilight Fair Parade at 6pm on Main St. Rancher’s Rodeo Calcutta, 7pm and Rancher's Rodeo at 7:30pm. Sunday, July 31 - Fiesta Day at 12:00 p.m., car racing, & family laser tag. RIVERTON - Wrangler Classic Team Roping Championships. Riverton Wrangler Classic Team Roping Championships. Bring the family for 2-days of team horse roping events. Food venders on site. Free admission. Open 10am-6pm at the Jim Moss Arena, 500 8-Mile Road. LANDER - There will be a live DJ at the Maverick Lounge located at 808 Main St. in Lander. 9:00 p.m.
RIVERTON: 103rd Fremont County Fair in Riverton! All kinds of fun events are planned for July and August (July 21-Aug. 6) at the 103rd Fremont County Fair! The Fair is held in Riverton at 1010 Fairgrounds Road. Learn more: fremontcountyfair.org. See fair schedule above. LANDER - There will be Karaoke at the Maverick Lounge located at 808 Main St. in Lander. 9:00 p.m.
SOUTH PASS CITY - South Pass City State Historic Site Walk the Flood & Hindle Hike, Talks, and Demos. The walk begins at the South Pass City Dance Hall at 125 South Pass Main St. The tour is approximately 1 mile over slightly inclined terrain. The walk takes about 2 hours. Sat, July 30, 11am – 3pm. Reservations recommended! Call 307-332-3684.